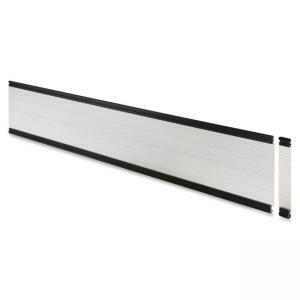 72" wide glazed panel is part of the Lorell Border Panel System that provides a delicate balance between privacy and interaction with colleagues. This system can be retrofitted to most workstations in a manner that allows you to define your work space the way you want. This panel can be mounted to your desks and returns to block sound and provide privacy. Panel is made of 0.5mm glazed, view-through plexiglass. The top and bottom accessory rods are included and made of aluminum. 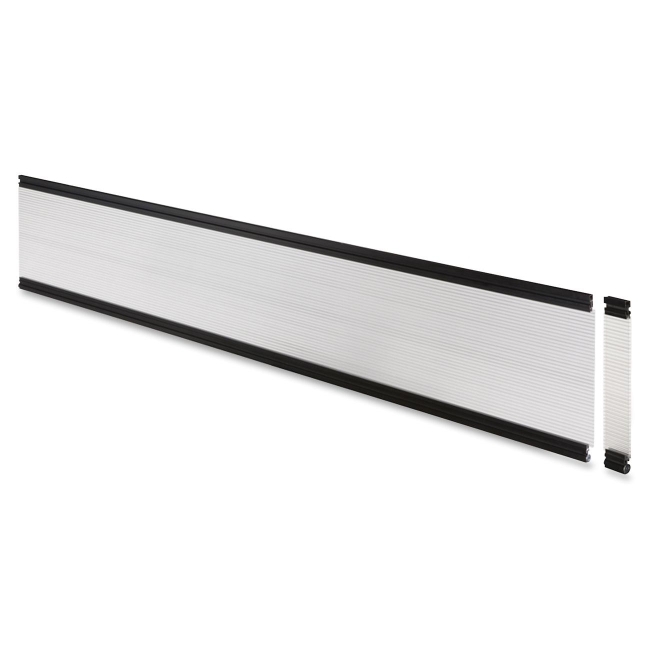 Use divider/support posts (sold separately) to attach this panel to your desk or return. The Border Panel System also lets you choose from rectangular transaction tops and corner transaction tops that both offer a melamine surface. All components are sold separately.